Hi all! We (Christine and Sanaz) are so excited to be new collaborators on this blog! We hope you find our materials helpful. As Speech-Language Pathologists, we often come across kids who have a difficult time producing words with the /s/ sound, or /s/ blends. 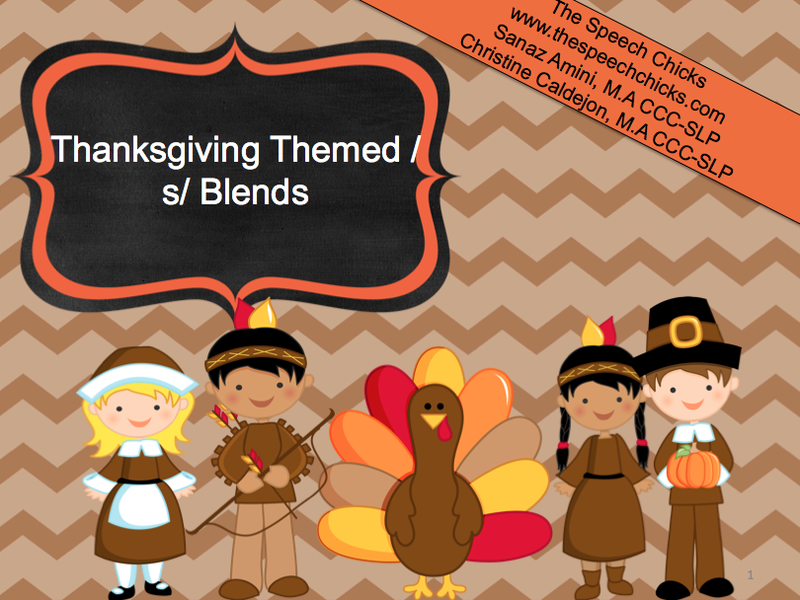 We both currently have kids on our caseloads who are working on /s/ blends and with Thanksgiving coming up we created this Thanksgiving Themed /s/ Blends Packet. 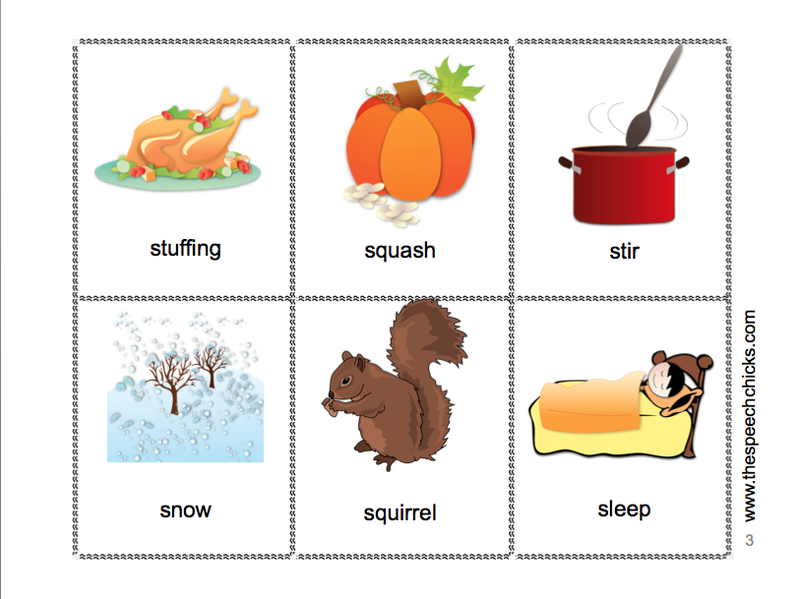 This packet contains 16 /s/ blend words with pictures and 2 coloring pages. Click HERE to download this packet! You can also find this packet on our TPT store.